Frank Key’s main priority is ensuring the safety of the people in our care – customers, colleagues, visitors and contractors. In April 2018, our hard work paid off following a successful result following a surprise inspection at our Daybrook site by fire safety officials. The fire drill procedures, training, equipment and facilities at Frank Key were all examined in detail to ensure we are meeting our legal and moral obligations. In the industry within which we operate, a result like this is not common, so we are pleased to once again prove our commitment to our people. We never stand still with Health & Safety and this does not mean we will become complacent. Frank Key will continue to improve practices so we can maintain a safe environment for everyone. 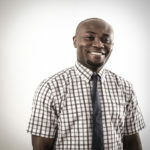 Richard Niwali, Frank Key Group Health, Safety and Environmental Coordinator.